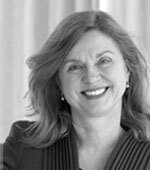 Elke U. Weber is the Jerome A. Chazen Professor of International Business at Columbia Business School and Professor of Psychology and Earth Institute Professor at Columbia University. She is an expert on behavioral models of decision-making under risk and uncertainty, investigating psychologically and neurally plausible ways to model individual differences in risk taking and discounting, specifically in risky financial situations and environmental decisions. Weber is past president of the Society for Mathematical Psychology, the Society for Judgment and Decision Making, and the Society for Neuroeconomics. She has edited two major decision journals, serves on the editorial boards of multiple journals across several disciplines and on advisory committees of the U.S. National Academy of Sciences related to human dimensions in global change, and is a lead author in Working Group III for the 5th Assessment Report of the U.N. Intergovernmental Panel on Climate Change (IPCC).